Formulated from organic compounds obtained from worldwide locations. The organics that are utilized in the formulation of GrockMe are of the highest pharmaceutical grade quality available and provide maximum potency. 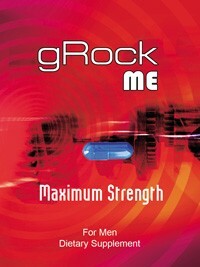 Unlike most male supplements GrockMe is manufactured in the United States by reputable pharmaceutical labs. The duration of potency had an average time span of 48 hours and increased libido.